Fräulein Nina – That daily dose of sewing, vintage and tea! 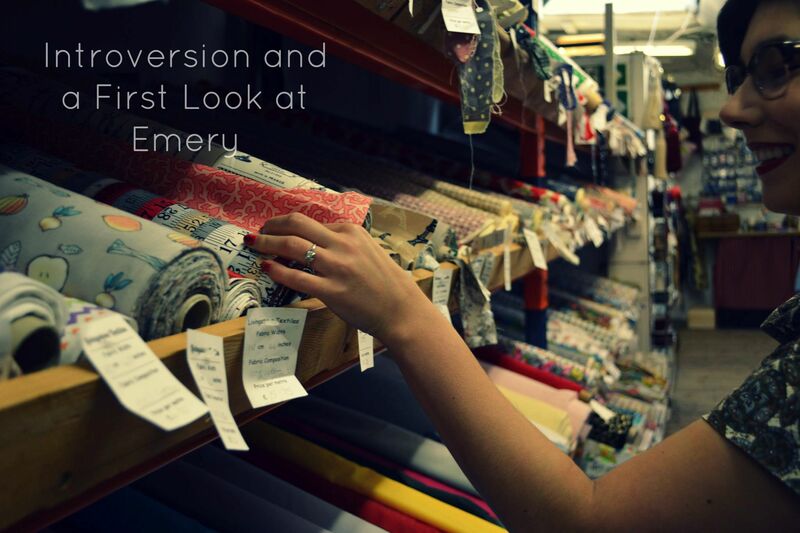 That daily dose of sewing, vintage and tea! Settle in, human beings, it’s story time! Since we last spoke I’ve somehow moved house twice, graduated university and done costumes for my first Fringe show(s). I’m a real life adult with two (and a half) proper grown-up jobs now and living that millennial side hustle life like I was born in 1992 (which I was). Sadly my own personal sewing got lost on the way a little. That isn’t to say I haven’t been sewing. The occasional blouse and A-line skirt (I know *yawn*) has made its way into my closet and I’m still committed to making more, buying less. But…let’s be honest, as thrilling as my sewing prose may be, there’s only so many A-line skirts a dear reader, such as yourself, can look at. …she says into the deafening abyss of silence. Merry Christmas to all you lovely people who occasionally drop by my little corner of the interweb. I’ll be honest and say that I’m breathing a big sigh of relief that 2016 is coming to an end. Personally and politically it has all been one great big pile of…dirty laundry! I know that this year hasn’t treated many people well and hope that the coming months bring us all some peace and happiness. I really wasn’t planning on sharing this simple, A-line skirt with y’all, but since I haven’t posted in an age and a half, (isn’t it annoying when bloggers apologise for not posting more often. Sorry!) I thought it was time. It feels rather strange to only be sharing this with you now, but the embargo on a photoshoot that I had the immense pleasure of working on has finally been lifted! Before Christmas I had the opportunity to create a costume combining classic Batman characters with Jacobean elements. I hope you’ll enjoy the following photos and allow me to introduce you to the deliciously dark world of Dr. Jonathan Crane, aka The Scarecrow. Move over, darling, there’s a new favourite blouse in town! A Christmas blouse, that is! I’ve never met a novelty print I didn’t like and after my first toile of Wearing History’s Smooth Sailing blouse went so well that I even wore it to uni (shh, it’s definitely a faux pas to wear unbleached cotton) I decided I needed one in reindeer, snowflake and any Nordic pattern known to man kind. Too bad I ran out of time and only have this bit of loveliness to show for all my planning! Phew, phew! I’m coming off of a high of being unofficially back at university over the past two weeks. Being around a lot of people is very exhausting to this little introvert. I can easily talk to large groups of people and deal with their wants and needs, but by the end of the day I’m mentally dead and gone. Thus I’ve not had too much mental breathing room to do any of my own sewing. 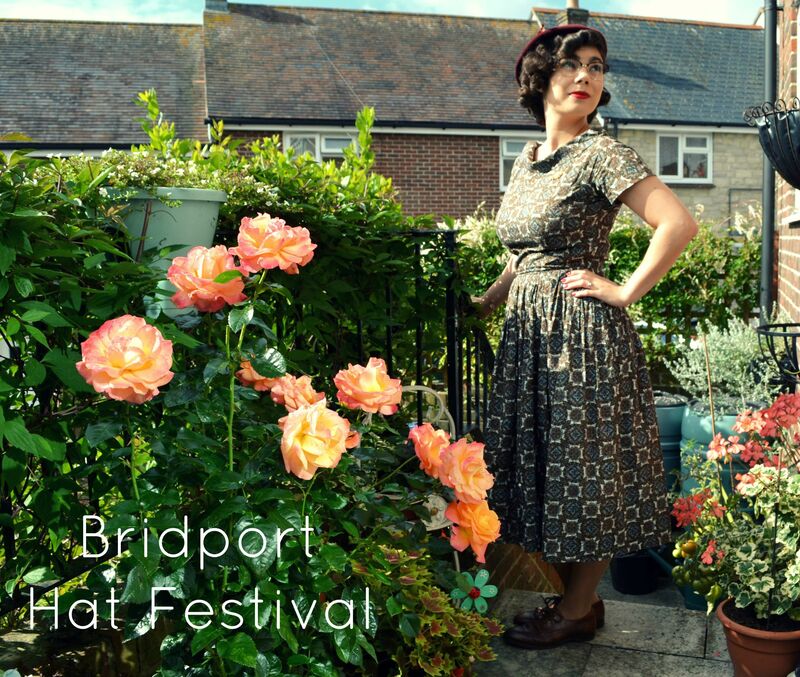 It’s become a bit of a tradition for the hubby and I to visit his mum’s town to partake in a very quirky little festival- the Bridport Hat Festival. Here we browse the amazing hats, very affordable vintage stalls and help out with some charity! It’s good fun and I always leave feeling like we stumbled home from Gilmore Girls’ Stars Hollow. Why hello and welcome! I'm Nina and I'll be your cruise director on this awesome journey filled with sewing, vintage and feminism. Thanks for stopping by and please feel free to pull up a chair, pour yourself a cup of tea and join the conversation. Okay, okay, here’s another NEW BLOG POST reminder for you. I’m subtle like that. As subtle as these sleeves. Posting on the blog two weeks in a row?! Madness! More ruffle sleeves, more pdf patterns. Here we go, @paulineyalice! Get your Fix via E-mail!